I have a MacBook Pro and I recently installed macOS High Sierra. I made sure I implemented a clean install to avoid problems with it. However, I am still experiencing certain issues. I think even though it’s a great operating system, I will still experience a few troubles. So, how do I troubleshoot these problems? Don't worry, we've compiled the following 11 problems about macOS High Sierra so far, and will solve these problems for macOS High Sierra one by one. Part 1 : macOS High Sierra issues: what can go wrong? Recently, the macOS High Sierra has been opened to the public. However great it may seem, it still has its bugs and flaws. There are various problems reported on the macOS High Sierra and certain fixes can be implemented to repair them. So, what are the various problems you might encounter with macOS High Sierra? When you start downloading macOS 10.13, sometimes the download will immediately stop and show the message “macOS High Sierra download has failed.” The message “Installation of macOS could not continue” could also be displayed. This may be caused by a poor or slow Internet connection. It may also result from too many users downloading the operating system simultaneously. You can try to fix this by restarting the Mac App Store. You can also try to re-download after a few minutes. Step 3 - Search for the App store app within the list that appears. Quit the app. If you can improve your poor Internet connection, try it out. You can use a faster Wi-Fi network. You can also connect to the Internet via cable. However, before you resume the installation of the operating system, you should delete every partially-downloaded file. These files are usually named as macOS 10.13 High Sierra. Then, try downloading again. Now, you might have finished downloading macOS High Sierra. But once you click the installation file, nothing happens. You might have pressed Continue, but the button is now greyed out. What you should do is to Control + Click the installation icon. Then, select Quit. Visit Applications and search for the installation file of macOS High Sierra. Repeat the process of installation. Have patience. Sometimes, it takes a few minutes to start. It takes about 8GB on your drive to install macOS High Sierra. This doesn’t seem to big. However, it might require you to have a minimum of 15 to 20 GB of disk space for the said operating system to run without issues. However, the first thing to do is to find out what’s taking up so much space. 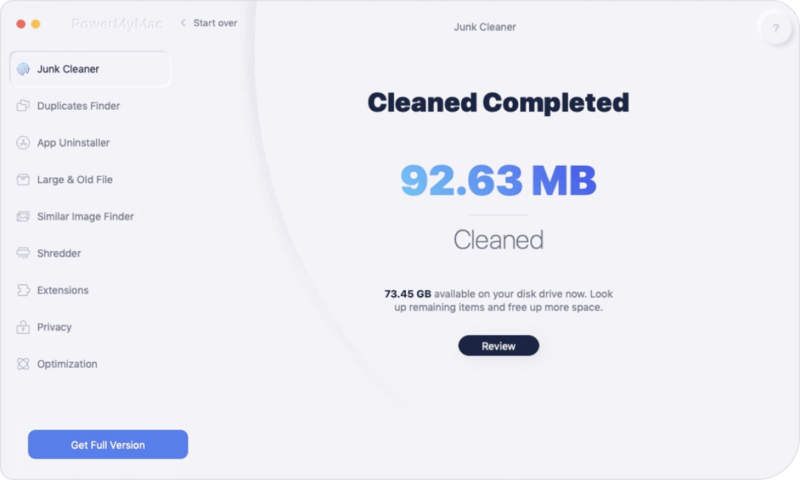 In order to get more space on your Mac, you should use a device called iMyMac’s Mac Cleaner. Click on the "Scan" button, and wait for a moment. When the scanning is finished, the program will display all the junk files to you. Mac Cleaner will help you Classified the junk files so you can check out the files by folder. You can also click the "Rescan" button to scan your iMac/MacBook/MacBook Air/MacBook Pro again. Click on the category like "Application Cache", the detail data for the category will show on the right side. Select the data you want to clean and click on the "Clean" button. Confirm it if you really want to clean up them. After a moment, those unnecessary files will be erased, many of them will be marked as "Zero KB". Now, after you Mac is cleaned and has enough space, you are ready to install macOS High Sierra. This issue is still found on macOS High Sierra. The Time Machine usually gets stuck while it displays “Preparing Backup” message. This may result in being unresponsive for hours. Step 1 - Stop the backup procedure being done. Go to the Settings menu of Time Machine. Press the red [X] in order to stop the backup process. Step 2 - Find the temporary backup file called .inProgress. Delete it. Use the Finder to visit the Time Machine drive. Then, open the folder called “Backups.backupd.” While in it, find the folder that contains the name of your Mac within it. Then, type out .inProgress inside the search bar located above. Find the file with the extension .inProgress and then delete this file. Step 3 - Restart the Mac device. Now, repeat the backing up process utilizing Time Machine. You should try to be patient and give the system time. If this doesn’t work, you should reboot your Mac device. Some users have stated that their computer started running slower after the installation of macOS High Sierra. First, you have to know what causes the slowdown. Visit Applications and then visit Activity Monitor. Check out which applications are heavy on your Mac’s memory. Force quit these applications because they are eating up CPU resources. Another method you should try is to clean up your system caches. These are temporary files that accumulate in your system libraries. Sometimes, they result in software conflicts. Step 1 - Launch Finder. Step 5 - Visit each folder and clean files inside. Remember that you do not delete the files. You just have to delete the insides. Take note that this isn’t a safe procedure. Accidentally, you can remove the wrong folder. 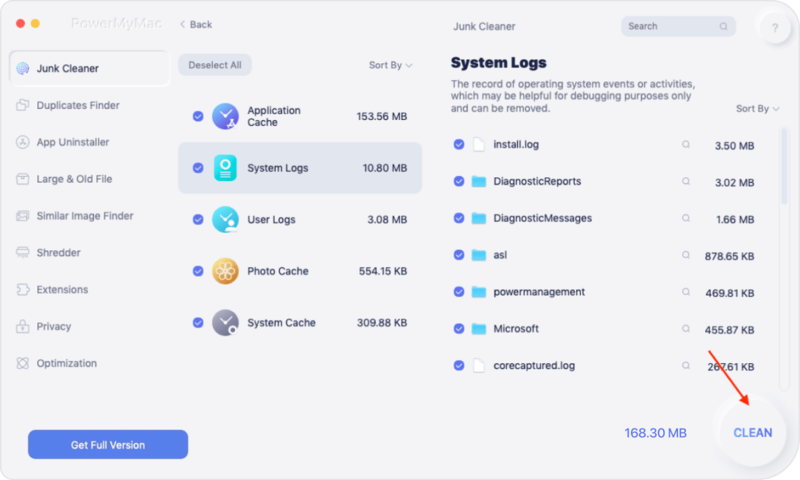 In order to clean your system caches safely, you must use iMyMac’s Mac Cleaner as stated above. 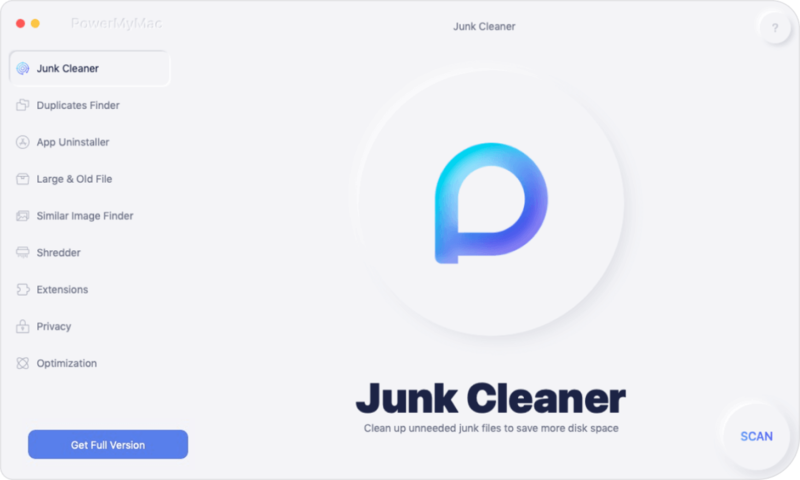 In this way, you’ll remove junk files without causing trouble to your system. Now, you have installed macOS High Sierra successfully. However, for some reason, the Mac device will not boot up. In this case, you might want to reset NVRAM. NVRAM refers to non-volatile RAM. It is used for the storage of system settings such as startup disk selection, time zone, display resolution, or kernel panic preferences. When you reset your NVRAM, you are helping yourself to perform a fresh boot--just like doing it from scratch. Now, your NVRAM just went through a reset. You can also open Disk Utility to repair boot problems. Internet Recovery launches your Mac from the external servers of Apple. If your boot sector is damaged, you can use this tool. It can help with hardware issues on macOS High Sierra. The utility will implement memory tests and it will perform a configuration of your Mac device in order to successfully boot it up. Step 3 - Release them after the animated globe is displayed. Your system will then download a specific recovery image from the Internet. Step 4 - Just follow the instructions on the screen to proceed. Slower connections happen after the installation of macOS High Sierra. To fix this, an update of your Wi-Fi preferences is necessary. But before you do this, you have to delete the current settings. Step 6 - Restart the Mac device. Changes will not take place. New preferences are automatically made to replace old ones. This issue is very common because with the macOS High Sierra, Apple moved towards a 64-bit architecture. Thus, 32-bit applications are not supported with the latest OS. Some developers haven’t converted their applications to a 64-bit architecture. If the applications continuously crashes or doesn’t launch on macOS High Sierra, you have to update it to its latest version. You can also check out the site of the app’s developer and read about its compatibility with High Sierra. Battery life might be drained quickly after installation of the macOS High Sierra. To look more into this problem, visit the Activity Monitor and check which processes are actually demanding of energy. You have to visit Applications. Then, go to Utilities and then Activity Monitor. Click the tab labeled Energy for more details. If a specific application is heavy on energy, you can reinstall it. You can also consider replacing the applications with a lighter alternative that is energy efficient. Although macOS Sierra is advertised as the most secure iOS, 3 password scandals have already happened. In September 2017, Patrick Wardle (a technology expert) proved that Keychain passwords can be retried without the need to provide your master password. This vulnerability pointed out by Wardle can actually be accessed through an unsigned application. It does not concern macOS High Sierra alone but other macOS versions previously released too. This major root password bug allows full access to Mac devices without the need for a password. If you have not yet set your Mac’s root password, you should do so immediately. The root password is similar to a ground-level admin password. The fastest way to set it is through the Terminal. Actually, this isn’t the only issue with passwords. A problem has arisen wherein the High Sierra displays the original password instead of showing the hint. To solve this issue, you should install the Supplemental Update of macOS High Sierra. You can also protect your data through encryption tools. Errors also happen in macOS High Sierra’s Mail app. Sometimes, email notifications won’t work after installation of the OS has been done. This can be repaired through System Preferences. So what other issues are there? Sometimes, your Mail application becomes slower. Here’s an explanation. The Mail app is probably overload with a lot of messages. Plus, it might still have leftovers from the previous operating system. This results in the slowing down of your Mail app and it may take hours to search for a certain message. Actually, there are applications that offer a fix. These applications will reorganize or reindex your Mail database on the latest macOS High Sierra. macOS High Sierra is not free of flaws. Well, everything’s not perfect. The said latest operating system of Apple has a lot of issues. However, these issues can be fixed with the right guide. A particular issue, for example, can be fixed by simply cleaning up your device with iMyMac’s Mac Cleaner. Whatever problem you might be facing with your new operating system, simply read this guide to free you from worries.